Prestigious European Research Council €1.8m grant funding for Prof. David Stifter has been awarded. 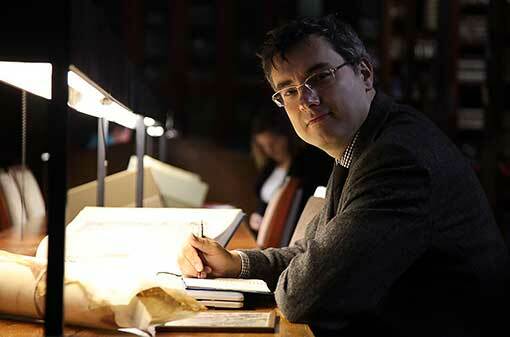 Prof. Stifter is the Course Director of the MA Medieval Irish at Maynooth University. The MA Medieval Irish at Maynooth University explores and examines the rich tradition of early Irish literature and intellectual culture, from the early medieval period and the advent of Christianity until the coming of the Normans at the end of the 12th century. It also enables students to deepen their acquaintance with the language of the period. Modules include the study medieval sagas and mythology and palaeography and manuscript culture. Students of the MA benefit from the learning about Celtic societies but also develop important transferable skills through the analysis of primary sources, the writing and study of language. Graduates have moved in academic careers, adult education and employment in the heritage and culture sector in Ireland and abroad.